Having protein in your urine while pregnant isn’t too unusual, but when the results start to be +1 or +2 your doctor will start to become more concerned, as you enter the third trimester. Let this L&D RN tell you exactly why this happens and why it’s a problem. 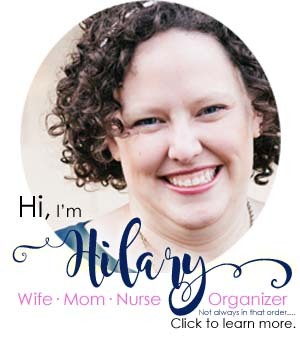 Hi, I’m Hilary — I’m an L&D RN, but before I was that, I was pregnant and sort of wondered WHY all the urine tests — what were they learning about? 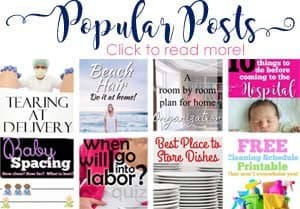 BTW, do NOT miss my post all about preeclampsia that will give you more insight to all of this. Why would you have protein in your urine while pregnant? When you’re pregnant, your body has a much larger blood volume than normal. Your kidneys have to sort of “open up” a bit to let all that blood volume through. Want to know more about your kidneys in pregnancy, this is a good concise paragraph. When they do this, they may let a little protein spill into your urine. Which is OK. When you have more — it starts to become an issue. This isn’t unusual and isn’t a symptom of any problems. 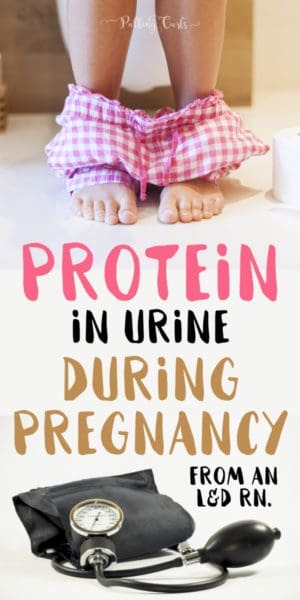 Protein in your urine before 20 weeks or so (or, when you’re NOT pregnant) is usually indicative of a UTI or some other issue, not preeclampsia. How do they test for proteinuria during pregnancy? Regular urine checks at your prenatal appointments (they check for a few other things as well — that’s why you have to pee in a cup at each appointment) — this is done quickly at the doctor’s office. They can also send you home to collect your urine for 24 hours for a 24-hour protein test (you also have to keep it cold, so this is a pain). BTW, if you’re wondering about testing that happens in your 3rd trimester, this free course explains a lot. Women often will say their urine looks “frothy” if they are losing protein, so something else to keep an eye on. While the 24-hour urine protein test has been the “gold standard” for a number of years, they seem to be finding that the ratio test is just about as good and MUCH more convenient (and fast) vs a 24-hour urine. With the 24-hour urine collection you most often have to stay at home most of the day as you have to collect all your urine and keep it cold (usually either in your fridge or on ice at home). That makes it hard to leave much longer than an hour, and most women can’t go to work during the testing period. **In the Call the Midwife book, they put women’s urine on the heater to see if the protein would congeal — a pretty cool old school method, like cooking eggs! Why is protein in my urine a problem during pregnancy? I want to be clear that it’s not the actual PROTEIN that’s a problem. It’s what’s happening in your kidneys as a result of possible preeclampsia that’s the problem. Preeclampsia makes your blood vessels leak even more than usual. That’s why you would get swelling (again, SOME swelling isn’t unusual — it’s an excessive amount) and also your kidneys leak fluid and don’t filter your urine as well as it did before you became pregnant/had preeclampsia. How to reduce protein in urine during pregnancy? There really isn’t a way to get rid of protein in your urine durig pregnancy, as it is caused by something entirely not your fault. Preeclampsia starts the minute your fetus implants in the womb, and while you don’t see symptoms until later in your pregnancy, it is due to something that science isn’t quite sure of yet (that post I linked to has a TON of information on preeclampsia, I highly recommend it). AND, just because you have preeclampsia during this pregnancy, doesn’t mean you’ll have it next pregnancy. So, by losing weight and lowering your risk of diabetes, it can help prevent it — but not all women with preeclampsia have any of those risk factors — we just know that they’re more likely to have it with those. This is when doctors start to get concerned. They may double check your blood pressure, or refer you for more labs. They may also watch you until your next appointment if you don’t have other signs and symptoms of preeclampsia. This is NOT a definitive test for preeclampsia, there are other factors they consider. Protein levels in urine during pregnancy what is high? 4+ protein in the urine is as high as a urine dipstick testing goes. They have more definitive numbers in the 24-hour urine or the ratio test I mentioned above. 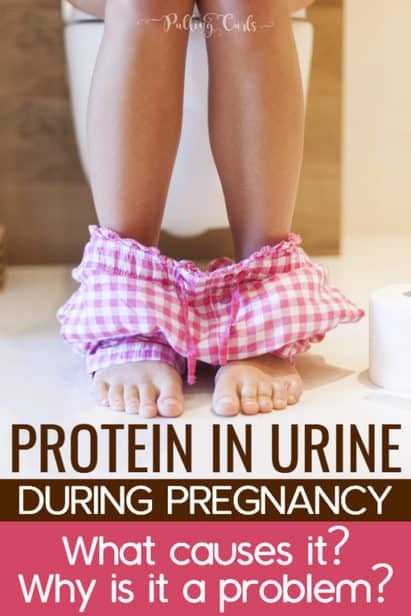 It would not be unusual to have some protein in the first trimester (and would likely point to a UTI vs preeclampsia), but protein in the urine during the third trimester is much more likely to be an issue and is taken more seriously. Hopefully, I’ve made it clear that it’s not the PROTEIN we’re treating, but preeclampsia. Does protein in urine always mean preeclampsia? Not always, but it is probably the most-often diagnosis. Is Protien in urine dangerous? Nope, it’s what is CAUSING the protein in the urine that is dangerous (preeclampsia). What is the first sign of preeclampsia? Since doctors check your urine at checkups. Often trace protein in the urine is the first sign. But, headaches are often the first sign as well. Keep in mind, it’s not unusual to have headaches during pregnancy — but a preeclampsia headache sticks around, even with tylenol or water. How does preeclampsia affect baby? It can restrict blood flow to the baby (even if you have higher blood pressure, less is getting through the placenta) but mostly the problem is due to MOM’S health so that she doesn’t seize, etc. Do not miss my whole other post about preeclampsia that will give more info on the treatments. Interested in learning more good information about pregnancy & your body during delivery? Be sure to check out this class. 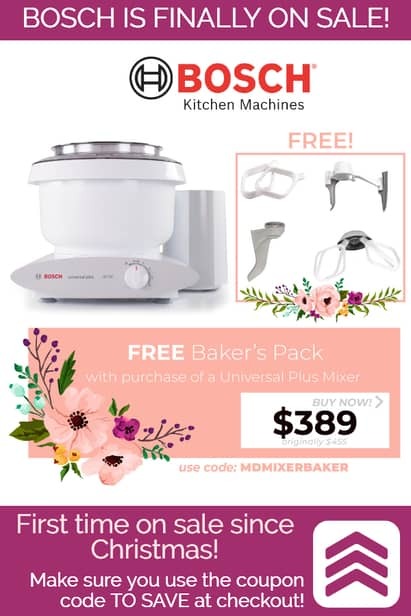 You can even get 10% off with code PC10.